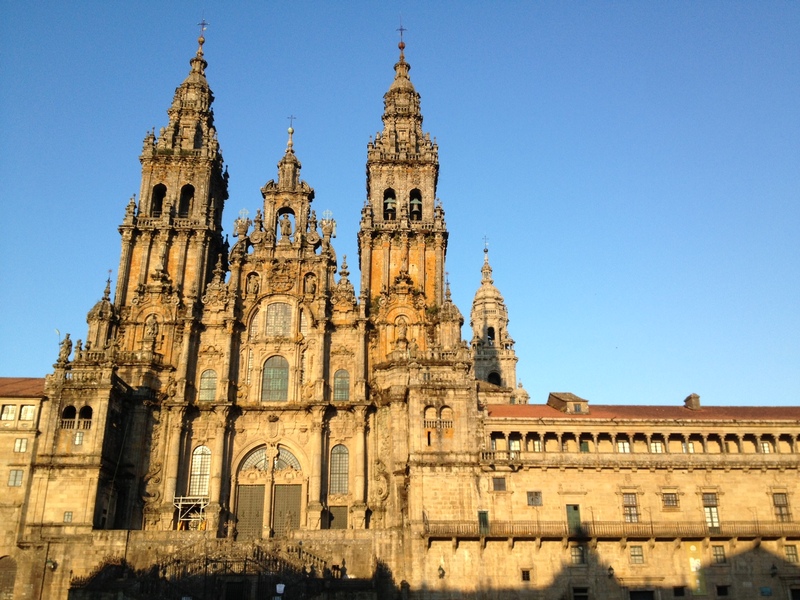 A new ministry of hospitality at Santiago de Compostela aimed at English-speaking pilgrims is being operated by a number of Religious from Ireland. Priests and religious from the La Retraite Sisters, the Faithful Companions of Jesus, the Society of the Holy Child Jesus, the Redemptorists and the Missionaries of the Sacred Heart are working together to welcome pilgrims to the Cathedral at the end of their Camino. The ministry of hospitality was opened this month at the request of the Dean of the famous Cathedral of St James and the Pilgrims’ Office. It offers pilgrims a space for reflection and meditation, the celebration of Mass, opportunities for reconciliation and a much-needed coffee. It also offers them space to begin to reflect on and integrate their experiences before they return home. It gives an opportunity to step away from the hustle of the city to find time for stillness and peace. The ministry is part of the new multicultural programme of hospitality encouraged by the Cathedral and the Pilgrims’ Office. Last Saturday saw the biggest number of people pass through the Pilgrims’ Office this year when 2,465 Compostelas were issued. Since the film ‘The Way’ was released in 2010, interest in the Camino has steadily increased. People undertake the journey for a number of reasons. For some, the motivation is explicitly religious, responding to the invitation of pilgrimage through the ages. For others it is a spiritual goal, where pilgrims take time to look at the priorities and direction of their lives. Whatever it is, the Camino is not undertaken lightly. Fr Alan Neville MSC, Vocations Director with the Missionaries of the Sacred Heart, who is a member of the new ministry in Santiago spoke to CatholicIreland.net about people’s reaction to the Camino. 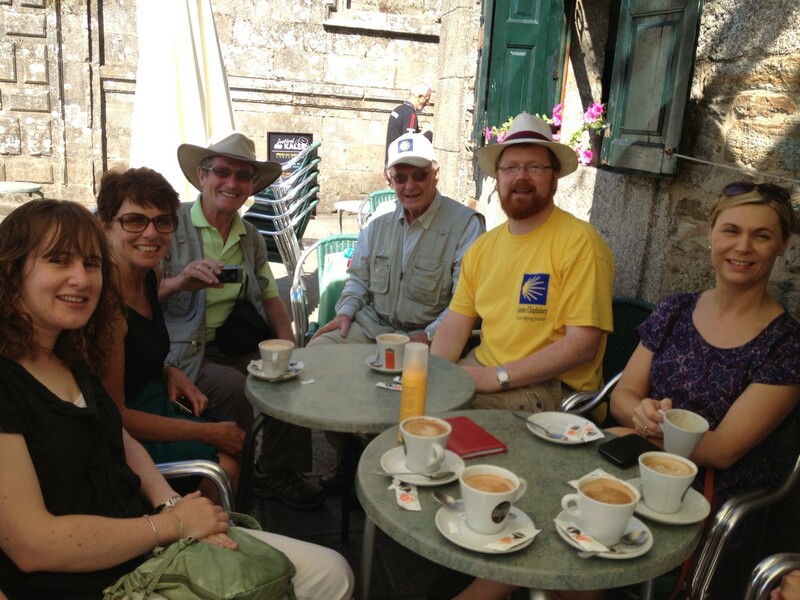 Earlier this year, as part of the MSC Vocations programme, he led a group of Irish pilgrims from the beginning of the Camino in Frances to Logroño. Santiago has typically been a place of rejoicing, but it has been touched with tragedy in recent weeks. On 24 July, the eve of the Feast of St James, a high-speed train from Madrid derailed outside the city’s railway station causing the deaths of 79 people and resulted in many injuries. Open throughout the day in the ground floor of the Pilgrims’ Office – Everyone’s welcome.